Failure by Congress to avert the tax increases and spending cuts will cause continued uncertainty and headaches over paychecks, tax returns, investments and more. So, it's official. The United States technically will go over the fiscal cliff for at least a short period of time. 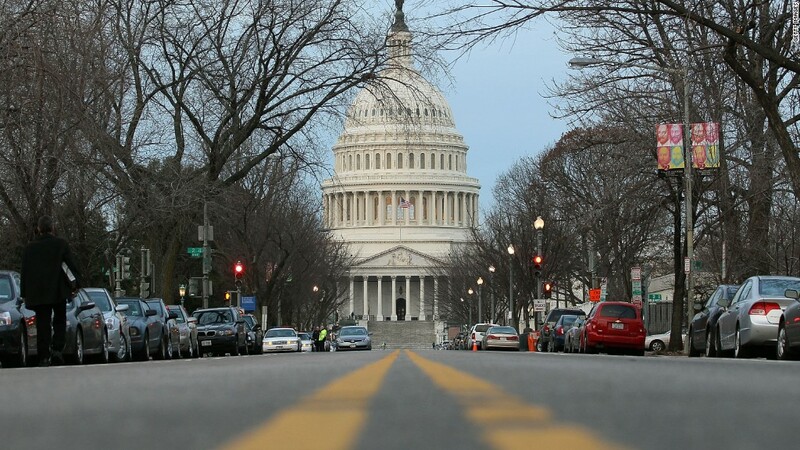 The House said that it won't consider any fiscal cliff legislation Monday night, even if a compromise deal is reached in the Senate overnight. Practically speaking, lawmakers likely have a "grace period" of a couple of weeks to pass a bill that wards off the bulk of scheduled tax increases and spending cuts without causing too much damage. But there's no guarantee that they'd be able to forge a final agreement quickly after Jan. 1. That means Americans could be living with continued uncertainty about tax and spending policies for an indefinite period in 2013. And that uncertainty is likely to create problems for tax filers, payroll processors, wage earners, doctors, federal contractors, federal agencies, federal workers and the unemployed -- to name just a few. They are the ones who will pay an increasing price as lawmakers try to redeem themselves and come up with a deal in January or February. Your paycheck: If you'll be paid in the coming week, your company's payroll processor probably already cut your check. And since they didn't have guidance from the IRS regarding 2013 withholding tables, they used 2012 withholding rates. So in that sense, your paycheck in early January won't be much different than what it was in December. But your paycheck still will be smaller, because the 2% payroll tax holiday is expiring. Starting in January, workers will once again have 6.2% of their wages up to $113,700 withheld to pay for Social Security, up from the 4.2% rate that's been in effect for the past two years. If you're getting a bonus, you'll have more withheld there, too, said Michael O'Toole, senior director of government relations for the American Payroll Association. That's because there's one supplemental withholding rate that applies to bonuses. This year it's 25%, but it's set to rise to 28% on Jan. 1, unless Congress decides to change it. For paychecks that will be cut later in January, the IRS late Monday issued guidance instructing payroll processors to assume all the Bush tax cuts expire. The agency, however, gave processors until Feb. 15 to begin to use the tables and said if Congress passes a law that extends any of the Bush tax cuts it would issue new guidance. In the meantime, paychecks issued could be smaller if payroll processors change their systems to incorporate the 2013 withholding rates. Your 401(k) and IRA: There's no telling how markets will respond if fiscal cliff gridlock persists. They had been relatively sanguine. But in the past week, stocks have closed down every day. Some believe, however, that markets may not move too much on fiscal cliff news -- whether Congress cuts a deal soon or not. Your 2012 tax return: Here's where things potentially become a dumb mess. The IRS warned lawmakers that if they don't act to protect the middle class from having to pay the Alternative Minimum Tax for tax year 2012 by Dec. 31, up to 100 million taxpayers may not be able to file their 2012 taxes until late March. The cuts, if not reversed, would likely lead to unpaid furloughs of federal workers. Agencies must give at least 30 days' notice to employees for a furlough that would last less than 22 work days; 60 days' notice is required for longer furloughs. So far, federal workers have been told to report to work as scheduled on Jan. 2, the day the spending cuts formally kick in. But there could still be an economic hit if lawmakers push the country over the fiscal cliff temporarily and then pass a fallback deal that primarily averts just some of the tax increases. For example, Congress may end up passing only a stopgap measure that does not address the automatic spending cuts or raise the country's debt ceiling. In that case, economic growth could be dragged down somewhat in the first half of next year, according to economists at Goldman Sachs. And remember that the economy is already going to be dragged back somewhat by the expected expiration of the payroll tax cut. Unemployment benefits: A federal extension of unemployment benefits is set to expire. If Congress does not renew it, workers who lost their jobs after July 1, 2012, will only receive up to 26 weeks in state unemployment benefits, down from as many as 73 weeks in state and federal benefits that have been available in 2012. As a result, more than 2 million of the long-term unemployed will run out of benefits at the end of this year, according to the National Employment Law Project, an advocacy group. And another 1 million workers will exhaust their 26 weeks in the first quarter of next year and will not be able to sign up for the federal extension. If Congress chooses early next year to keep the extension in place, and makes the extension retroactive, many of the 2 million who fell off the rolls may be paid retroactively, said Rick McHugh, a NELP staff attorney. Doctors' pay: Medicare physicians are facing a nearly 27% cut in their payments for treating Medicare patients because Congress has failed to pass the so-called doc fix to override that scheduled cut, as they usually do. They face a potential additional cut because of the sequester. But here again there may be a few weeks' grace period for Congress to change its mind and reverse the cut. That's because claims are held for at least two weeks before they are paid. - CNN's Dana Bash and Deirdre Walsh contributed to this report.